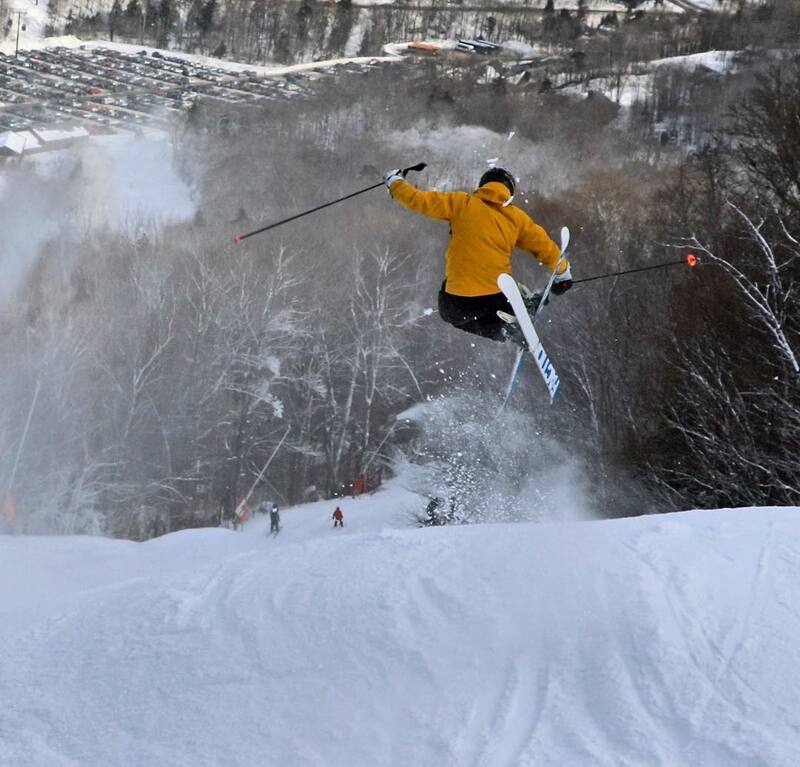 Stowe Mountain Resort is ranked No. 45 in North America for its total snowfall during an average season. 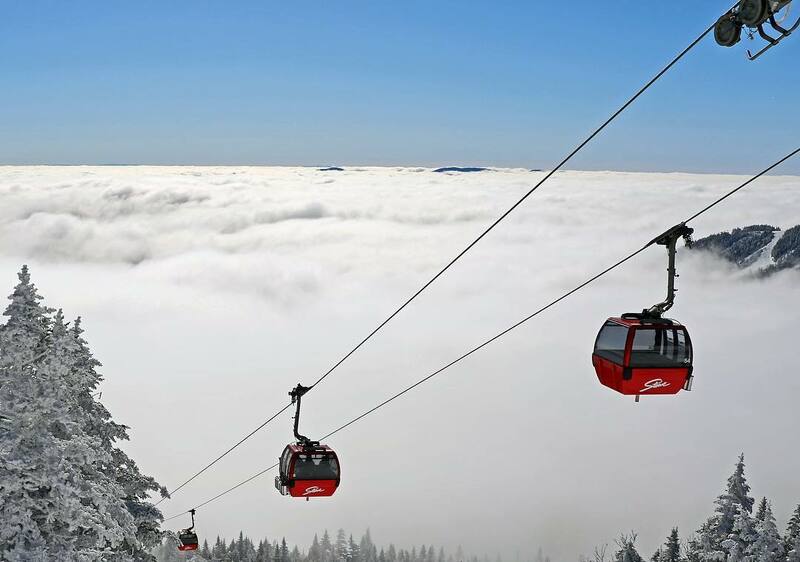 Stowe Mountain Resort is situated on the eastern slope of Vermont’s highest peak, Mt. Mansfield. 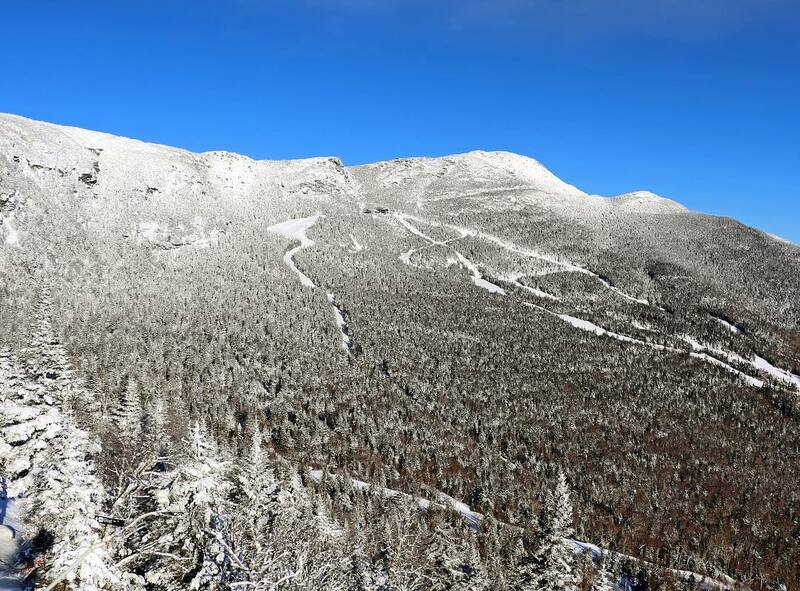 As far as the east coast goes, that means the highest point of the ski area is as high as many peaks get at 4,395 feet above sea level. 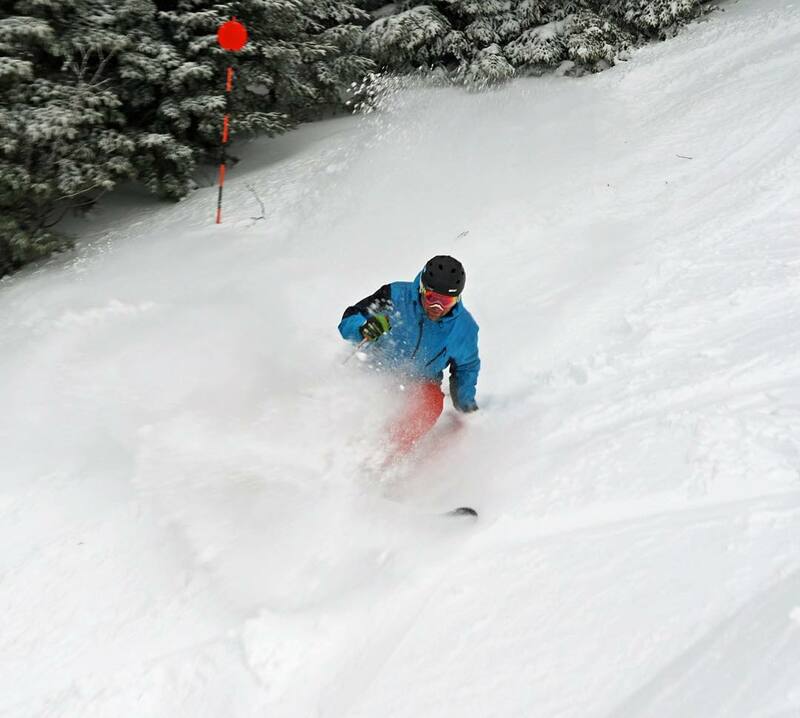 Like Jay Peak, the glade skiing and boarding is excellent and absolutely wonderful to hone your turns and reflexes amongst. Bring your helmet. Stowe can get crowded on the weekends, as it’s close enough to Boston (3 hours away) that many of this city’s wonderful people are more than willing to make the weekend trip. 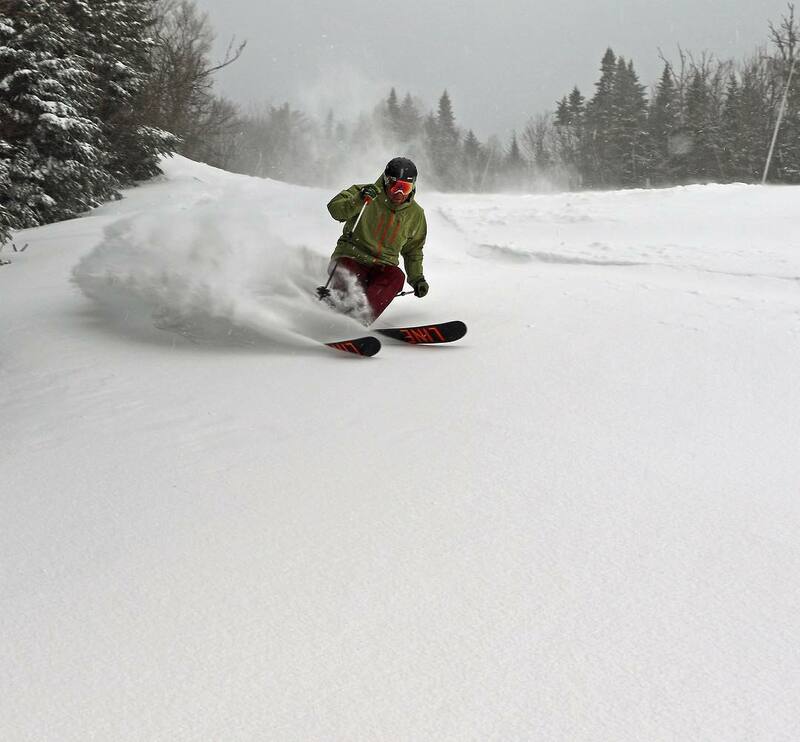 But long lift lines aren’t as prevalent as they once were, as Stowe has invested in three high speed quad chairs and a high speed gondola to the mountain’s summit. About 60% of the mountain is composed of intermediate terrain with the rest of the place well suited to the beginners and experts. 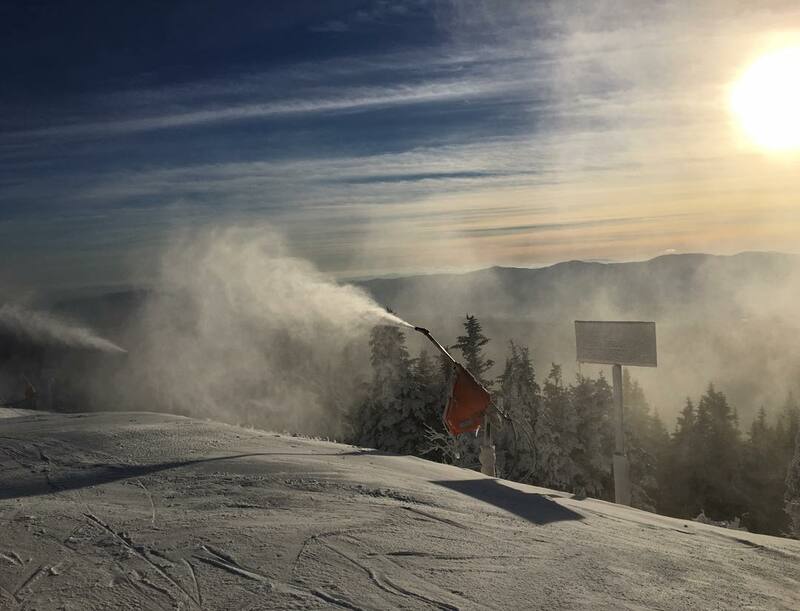 Many experience skiers and snowboarders like the fact that Stowe’s beginner terrain tends to be toward the peripherals of the mountain giving newbies a good place to learn away from the stiffer slopes. Fact of the day: Stowe is home to the Von Trapp Family Lodge, which inspired The Sound of Music. The family still operates the lodge, a splendid spread that looks the part. And unlike the movie, there are no Nazis here. 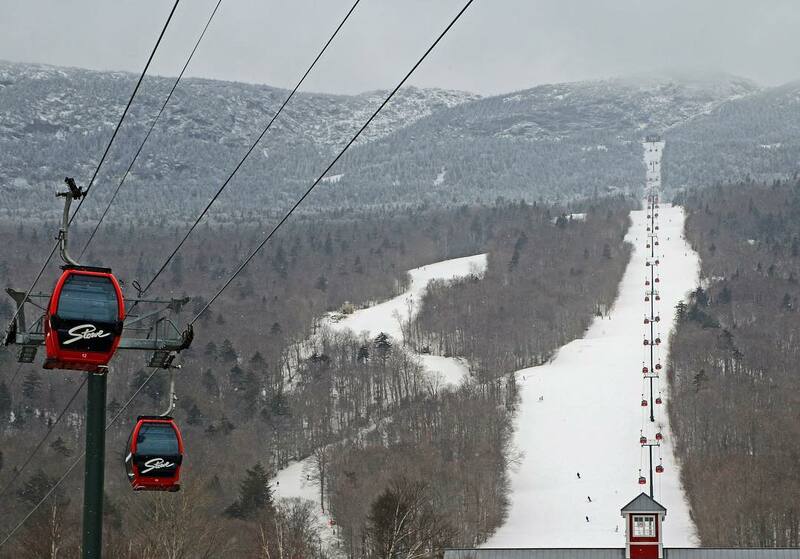 Stowe is the picture perfect representation of a New England mountain town. Neat wooden buildings and steeples have a pleasant duopoly on the place. The town covered in the snow smacks of sleigh rides and Robert Frost poems. Local ordinances prevent businesses from placing garish signage and advertisements around town. 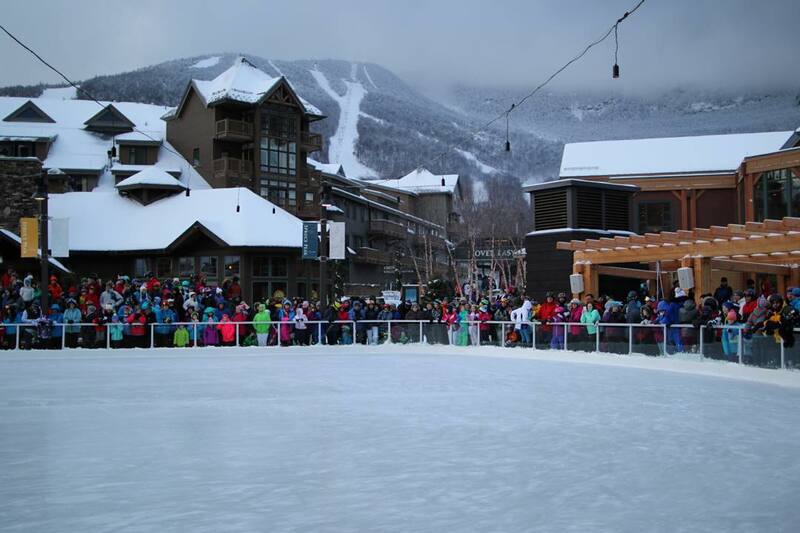 For singles and couples, there’s ample nightlife and dining and Stowe is family friendly (see: Von Trapp, Family). All that charm comes with a price; in-town lodging can be expensive. Venturing towards I-89 can get you a cheaper room and it’s only a few miles from the town center. 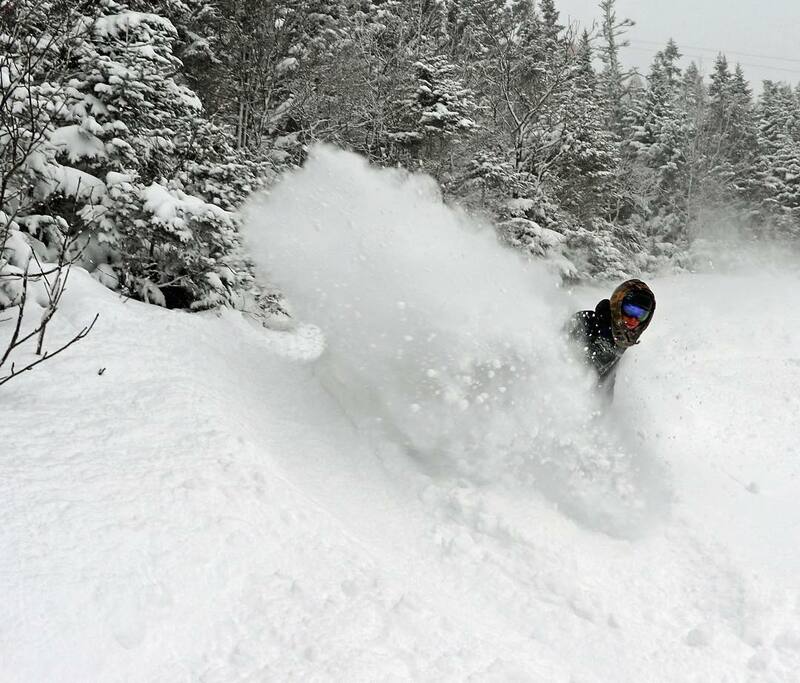 Stowe is the third highest snowfall area in the East. At Stowe 14.6% of winter days see 6 inches or more of snow, 11% of winter months see 90 inches or more, and 11% of months see less than 30 inches. This is above average snow frequency among North American ski areas. The key risk to snow conditions everywhere in the East is not drought but rain. The rain is often followed by hard freezes that can close advanced or ungroomed terrain. This is a minor issue for the locals, who can sit out the wet weather and wait for improvement. It does, however, make planning a trip over a week in advance more of a gamble. 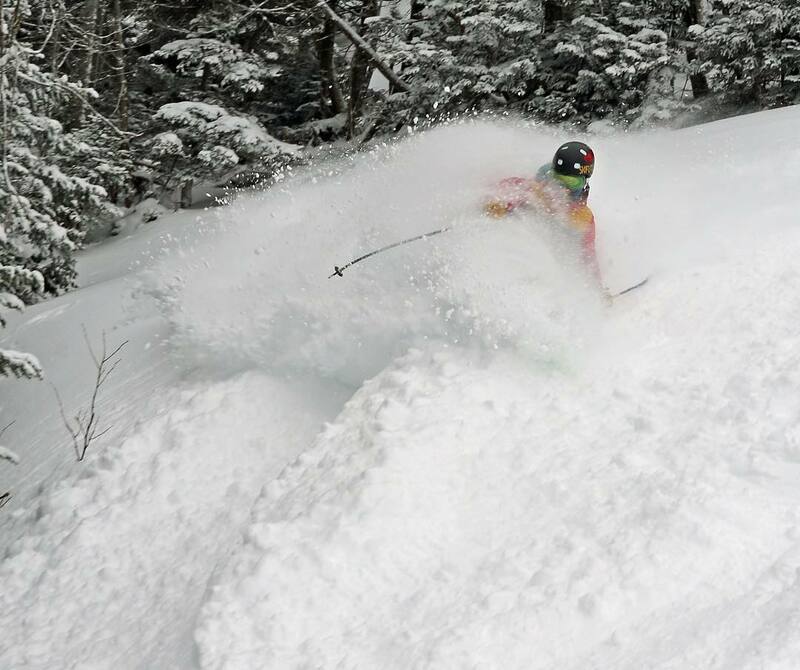 Powder in northern Vermont is often excellent, closer to the Rockies in quality than to the heavier snow of the West Coast. 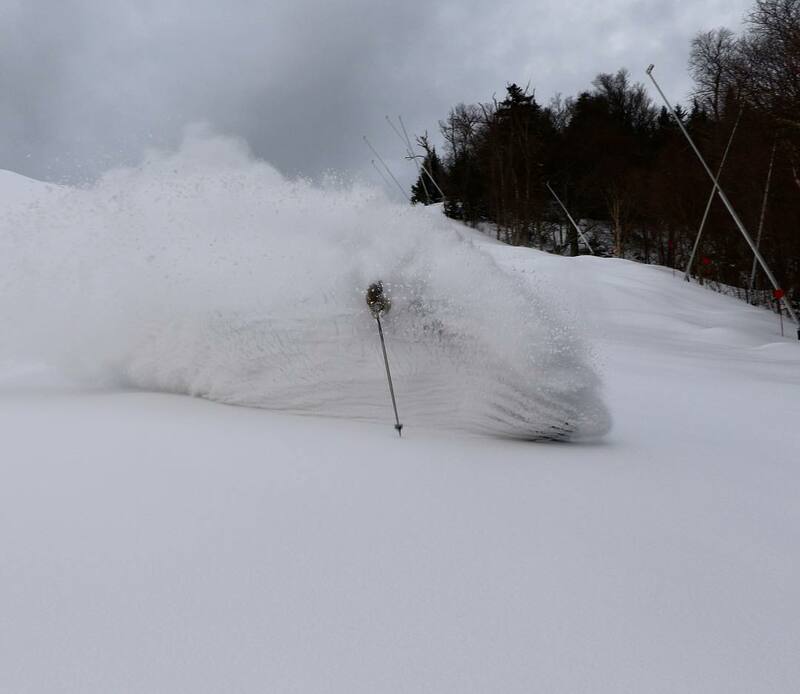 Stowe averages 71% open at New Year's with about 20% of seasons being less than half open by New Year's. Stowe is on the leeward side of Vermont's highest peak Mt. 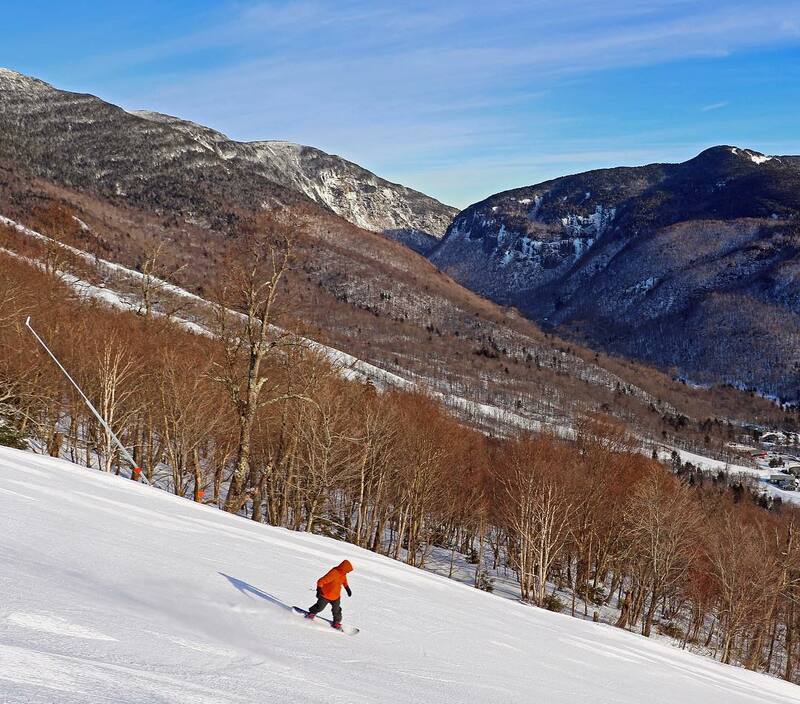 Mansfield and also makes more snow, so average trail conditions tend to be better than at Jay and Smuggler's Notch and perhaps the best in the East. The natural snow depth in the northern Vermont trees is generally adequate from mid-January to late March. By eastern standards, Stowe's snow preservation is above average, as it averages 81% open at the first of April.